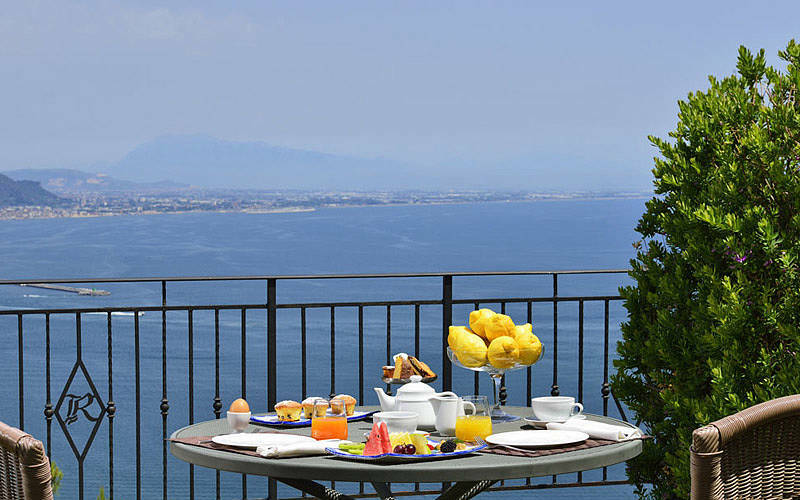 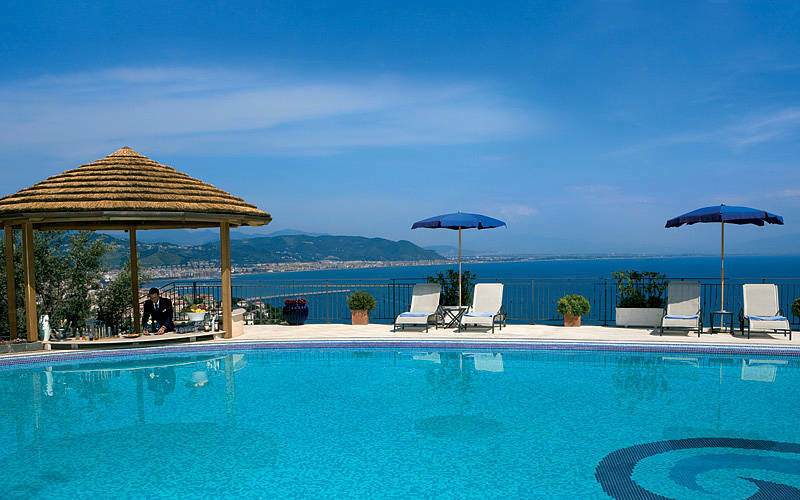 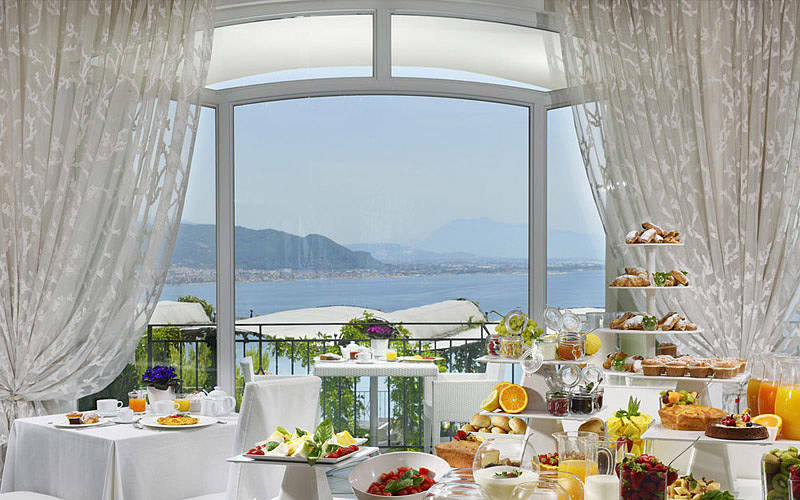 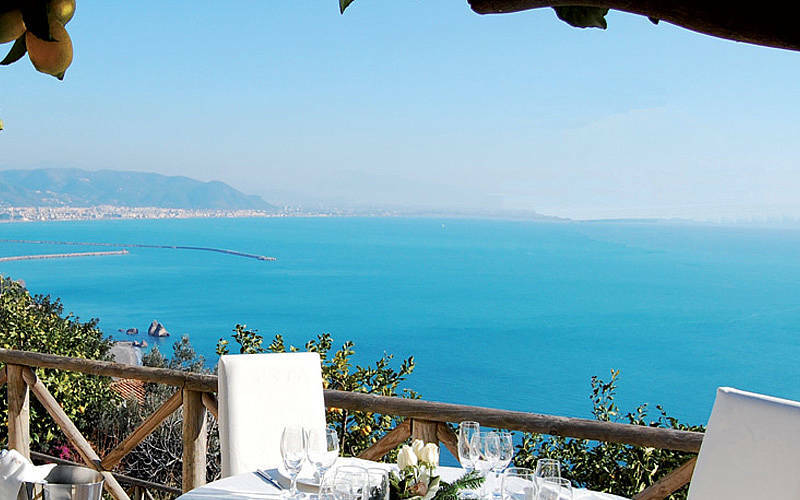 Within minutes of the sun-kissed beaches and picturesque historic center of Vietri sul Mare, surrounded by sweet smelling lemon groves and gorgeous Mediterranean gardens, Hotel Raito is a stunning 5 star resort specialized in making dream holidays come true. 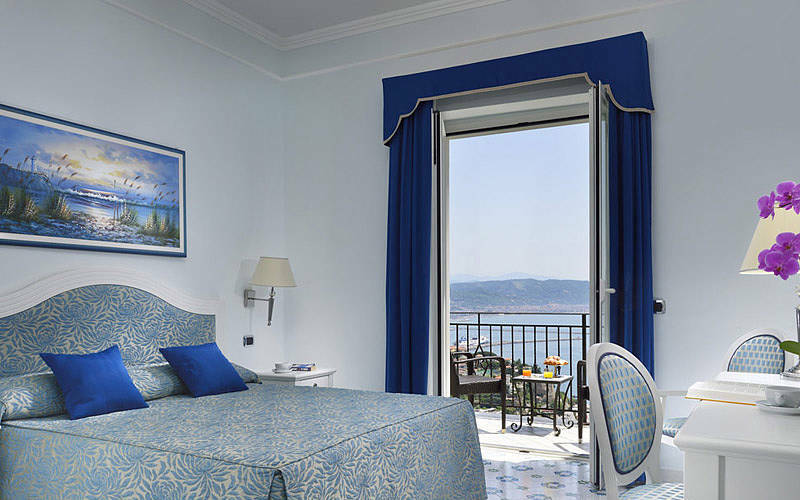 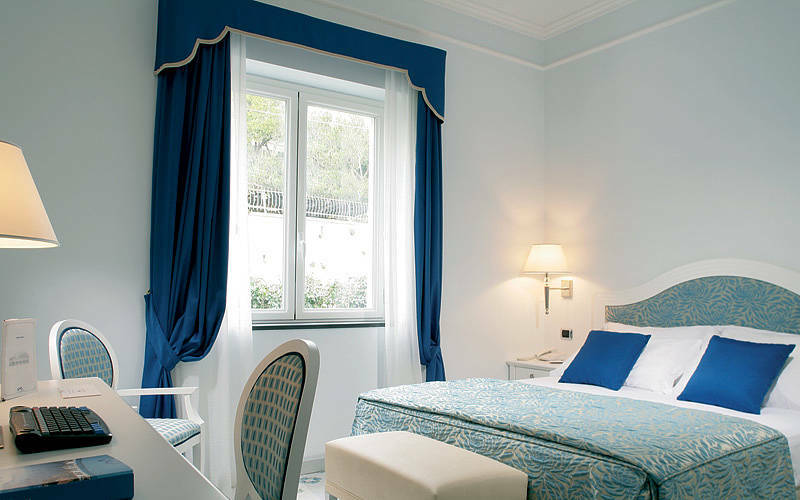 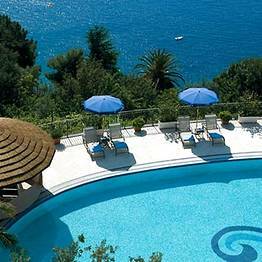 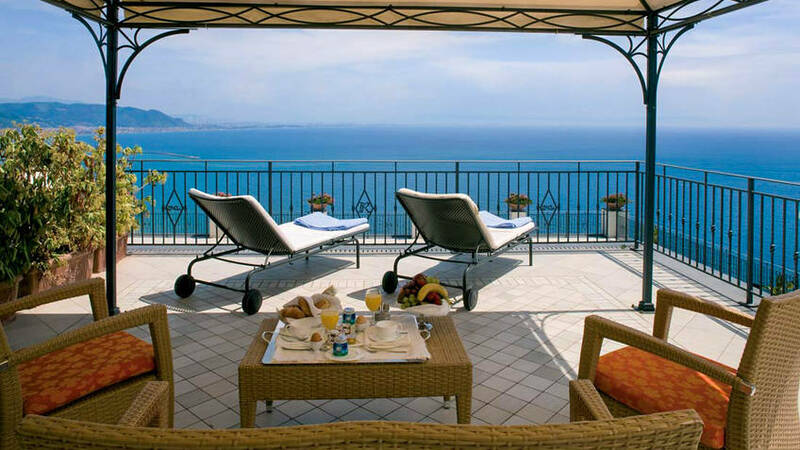 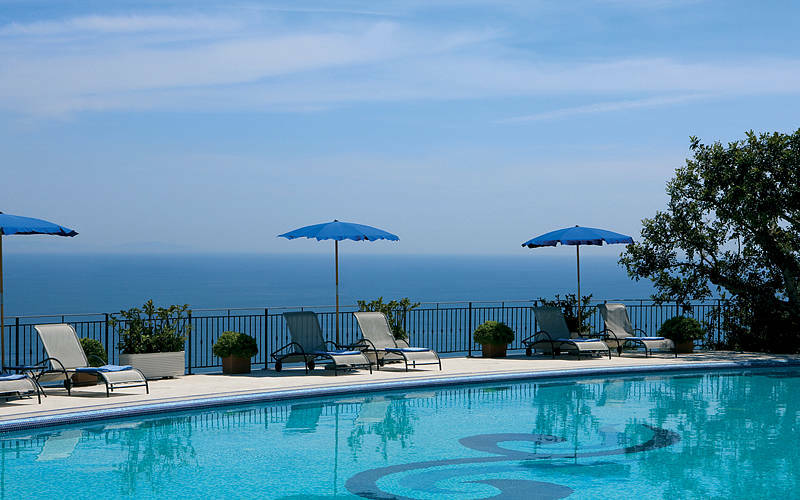 Hotel Raito's beautifully appointed bedrooms and suites have all the elegance of the Amalfi Coast's sumptuous cliff edge villas, combined with contemporary designer furnishings and the very latest in audiovisual and communication technology. 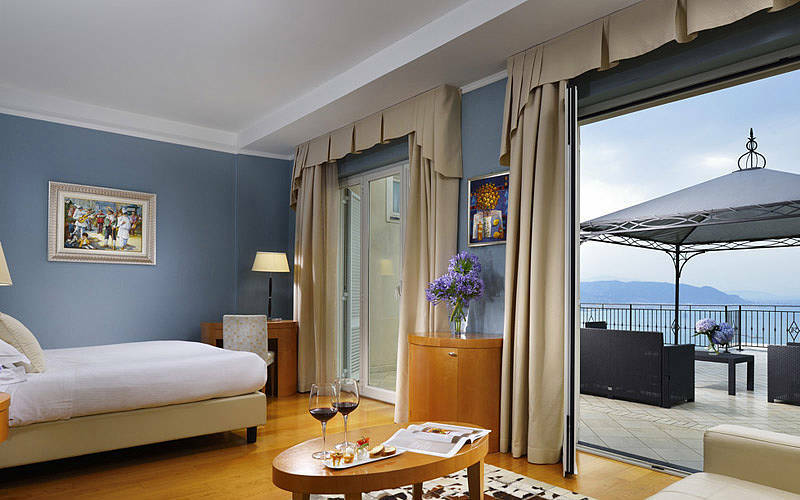 The ultimate in Mediterranean luxury and romance, the Seiren Golden Suite features a large, canopied bed, in-room Jacuzzi, and a spectacularly panoramic terrace. 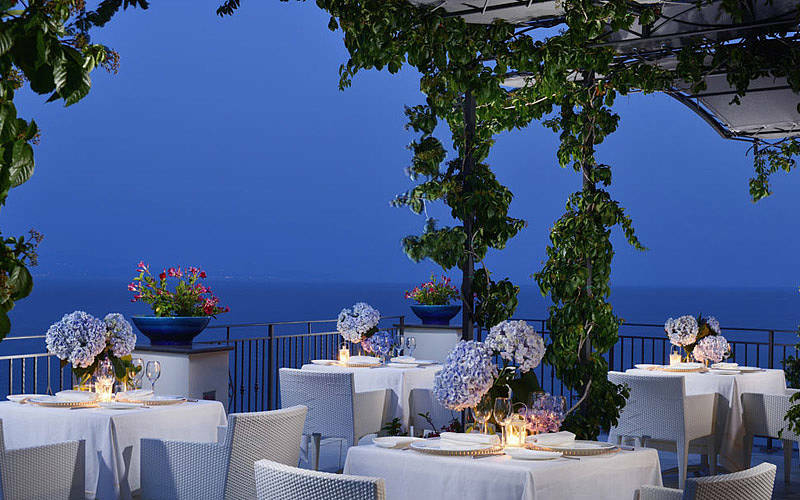 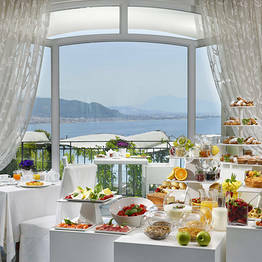 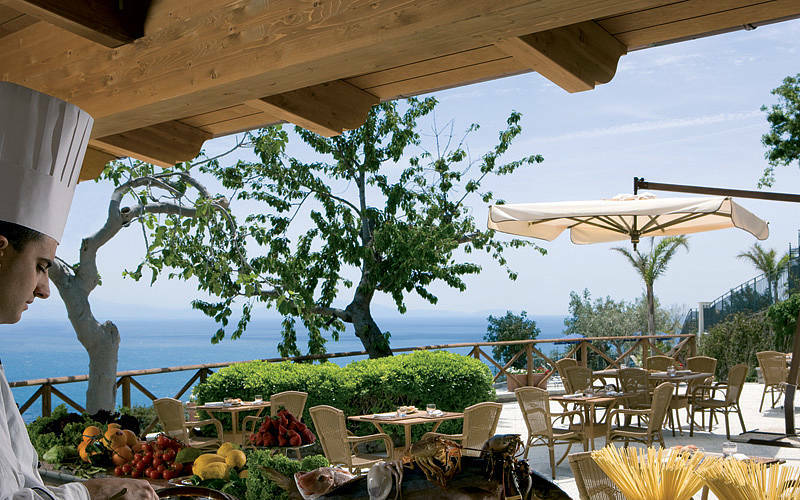 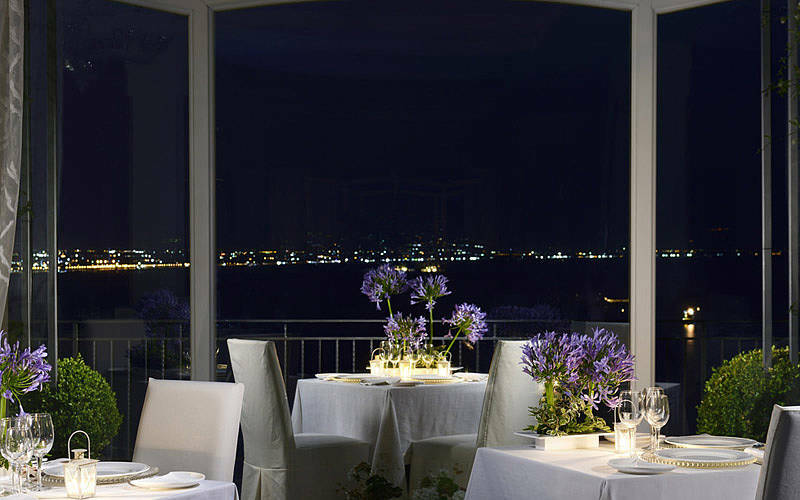 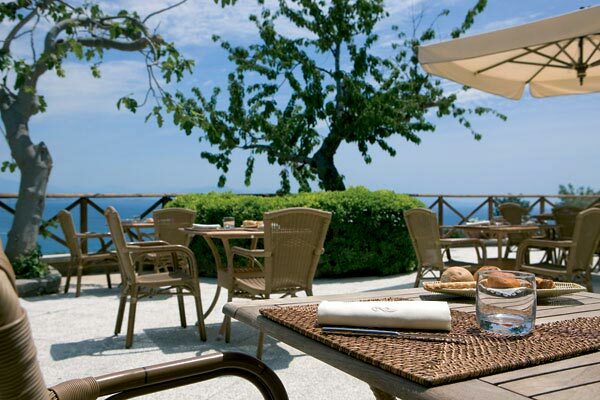 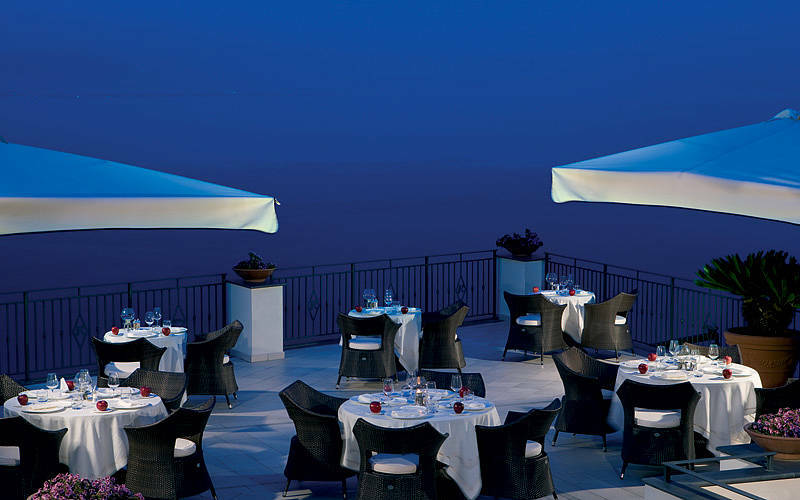 Guests eating in the dining room or on the terrace of the hotel's "Il Golfo" restaurant are treated to the finest contemporary Mediterranean cuisine, prepared using the abundant fish and deliciously sweet, sun-ripened fruit and vegetables for which the Amalfi Coast is famous. 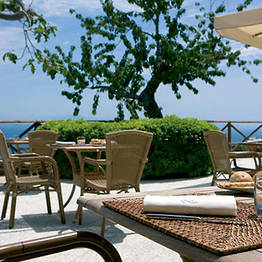 The casual-chic "ExLounge Bar & Grill" is the perfect place for a light lunch or snack. 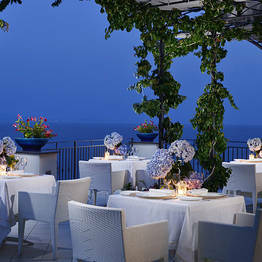 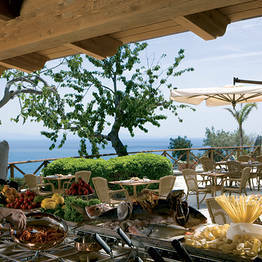 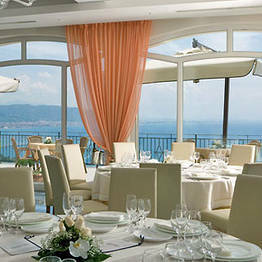 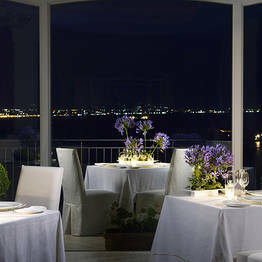 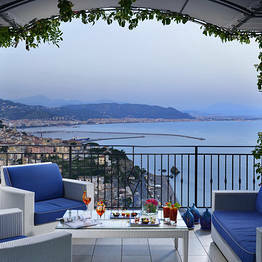 The stylish "Bar I Faraglioni" is the ideal venue for a leisurely after-dinner drink among friends. 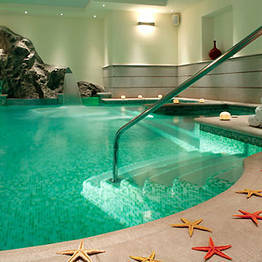 The resort's luxurious ExPure SPA provides the perfect environment in which to sooth and stimulate the senses. 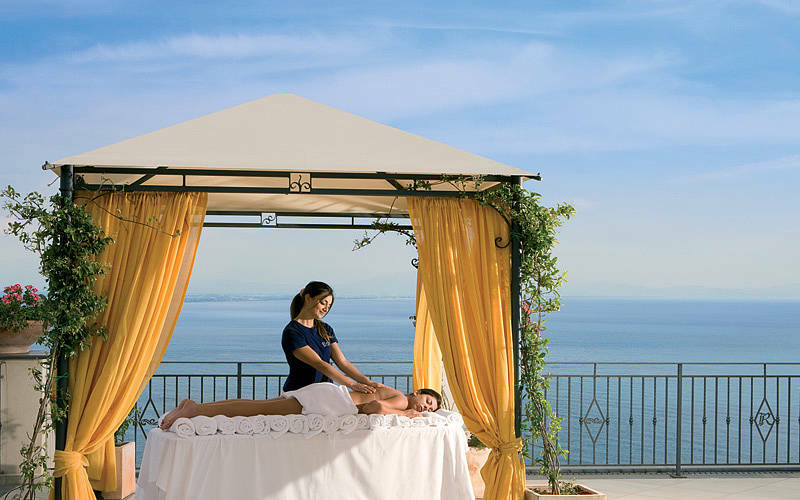 Equipped with solarium, indoor swimming pool, Turkish bath, sensorial showers and infusion corner, the wellness center offers an extensive range of massages and innovative treatments performed using Declèor spa products. 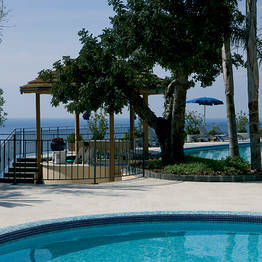 Other on-site leisure facilities include two outdoor swimming pools and a fitness area. 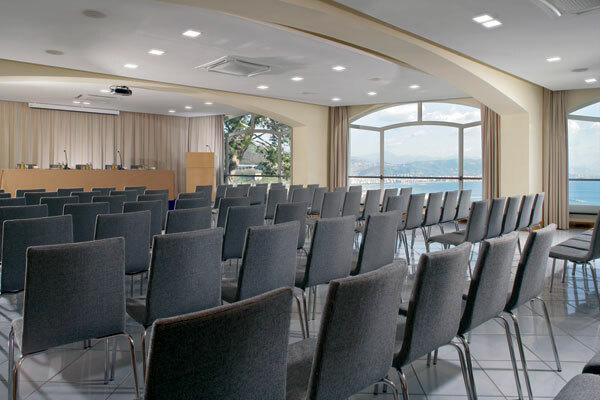 With its state-of-the-art conference center, elegant function rooms and magnificent panoramic terraces Hotel Raito is a much sought after location for high profile meetings, exclusive wedding receptions and glamorous social events. 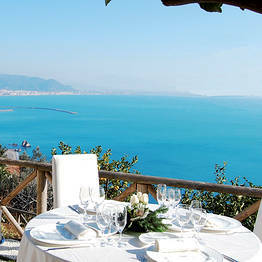 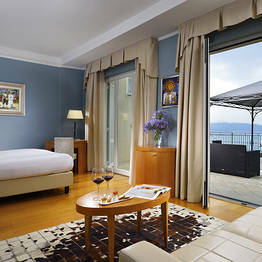 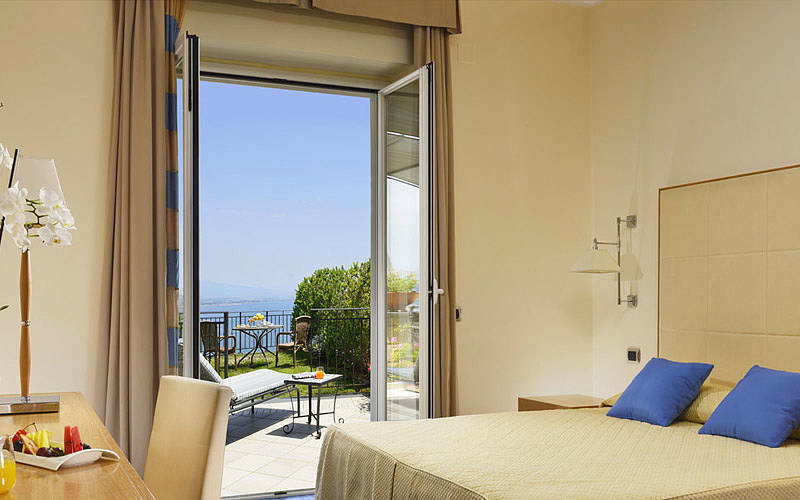 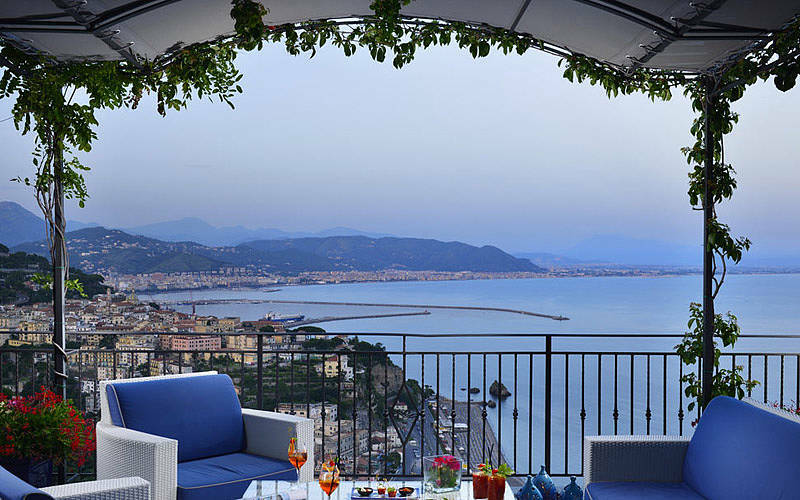 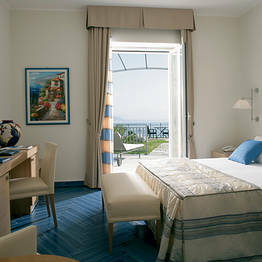 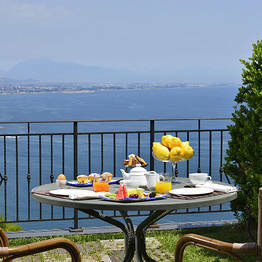 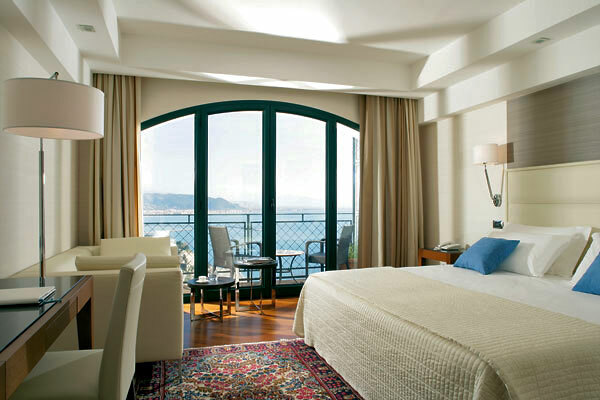 "An excellent hotel with a beautiful view.The only downside is the distance from the sea. 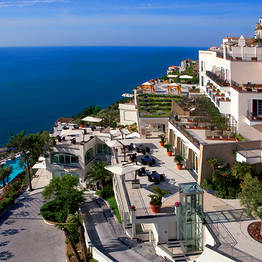 Although the hotel runs a shuttle service, you really need to have a car if you're staying here." 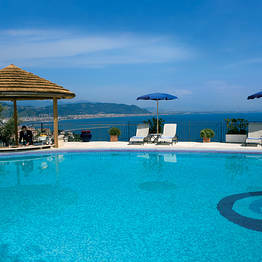 "We enjoyed only one night but was really beautiful the staff, our room the girls on the spa. 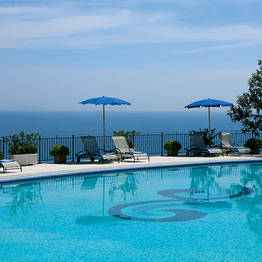 I recommend it for take a breath of routine. 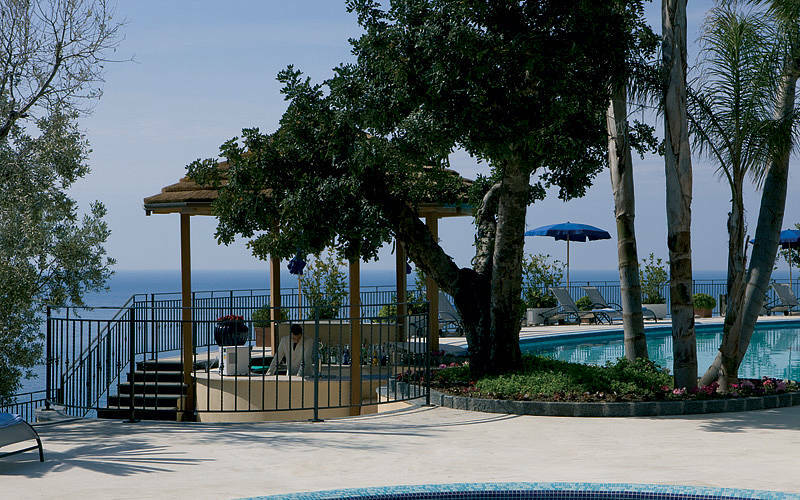 :) "
"Despite being on the small side, the pool had sufficient sun loungers for everybody, an excellent bar service and a breathtaking view. " 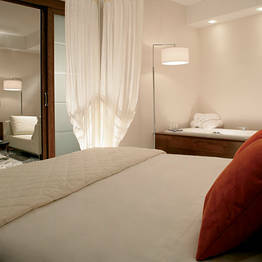 "Everybody was friendly and eager to please. 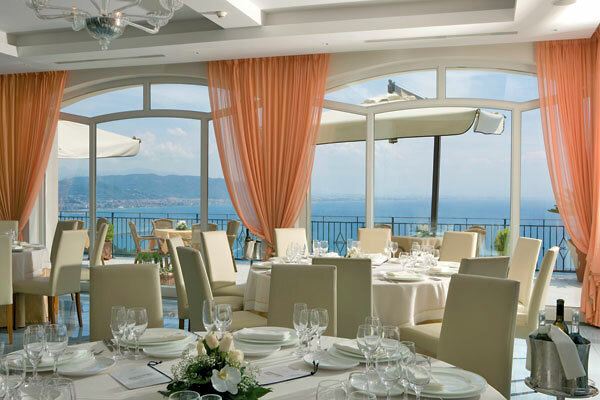 The reception staff, the concierge, the guest relations manager, the girls in the spa, the waiters in the restaurant: they were all charming. " 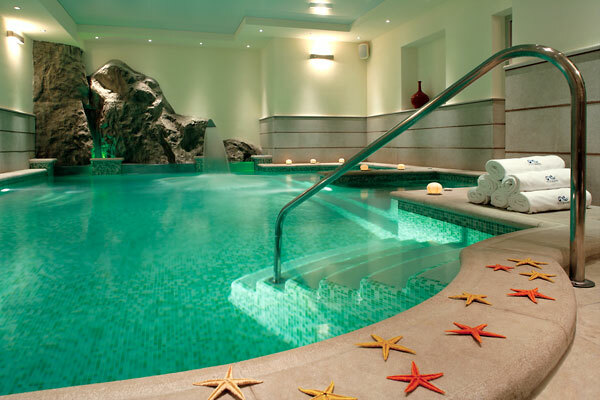 "The recently rennovated spa offered excellent treatments at prices which were, on the whole, reasonable! " 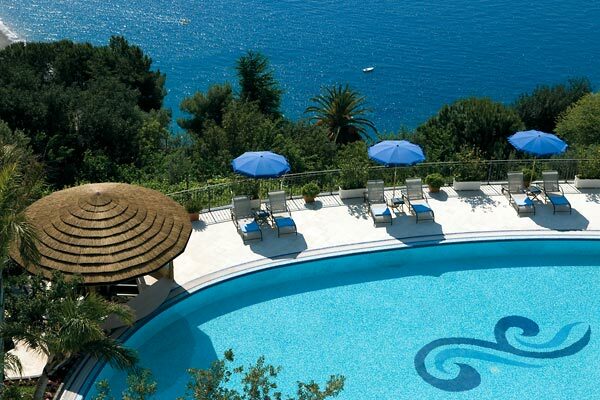 Very convenient location. 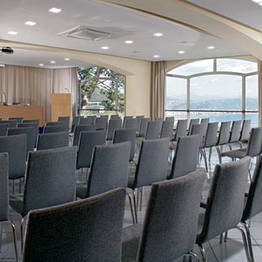 Good hotel, attentive staff. 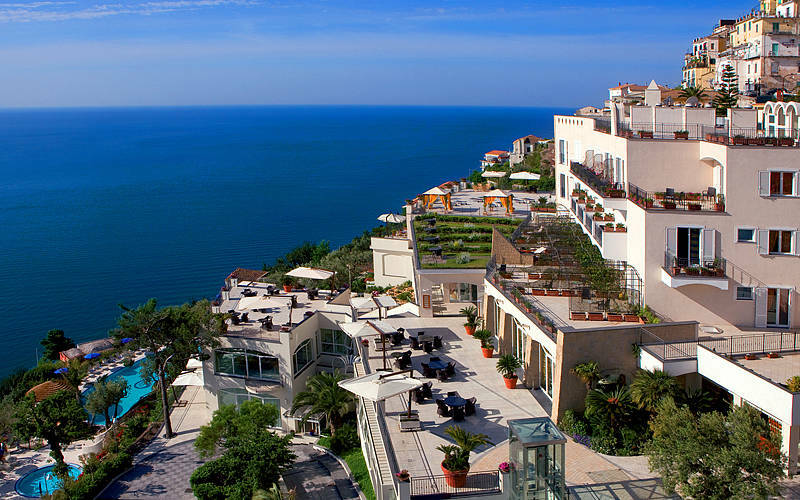 Not a proper 5 stars. 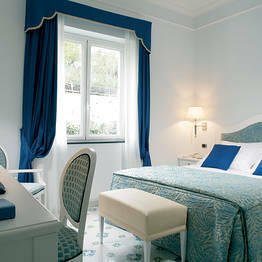 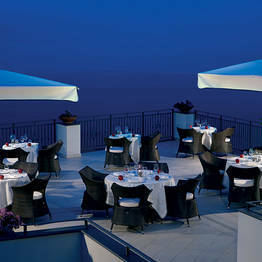 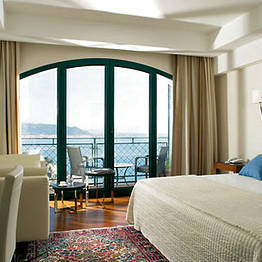 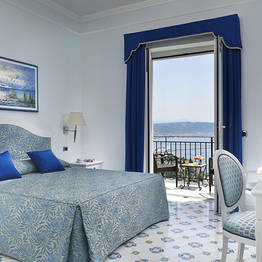 Book Hotel Raito on Positano.com now with no additional booking fees.